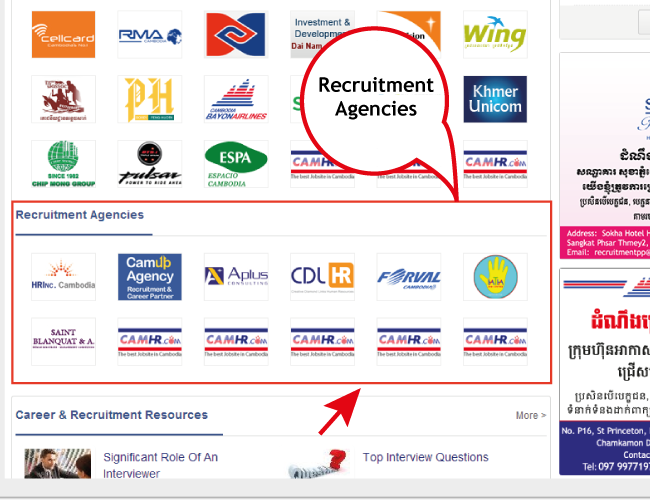 - Your company’s logo will appear in the “Recruitment Agencies box” in the Homepage. - Job seekers can view your company’s profile for all job listed directly with one click. - An opportunity to have your logo shown on the Homepage. - Also to expose your logo and branding on our Homepage. - Free customer care: Our trained Customer Service Officers will be glad to help you.